how great among the Gentiles are the riches of the glory of this mystery, which is Christ in you, the hope of glory. The Day of Pentecost ushered in the Age of The Spirit, the end of the Old Covenant period (Law) and the inception of the New Covenant period (Grace). What better day then for you to choose to be baptised? Why do we baptise believers? It might help to think of baptism as the believers’ eternity ring. When a husband gives his wife an eternity ring they are not suddenly more married than they were before, but the husband has provided his bride with another outward sign of what is already true – they are one. Fear not, stand firm, and see the salvation of the LORD, which he will work for you today. For the Egyptians [enemies] whom you see today, you shall never see again. The LORD will fight [has fought and won the battle] for you, and you have only to be silent. 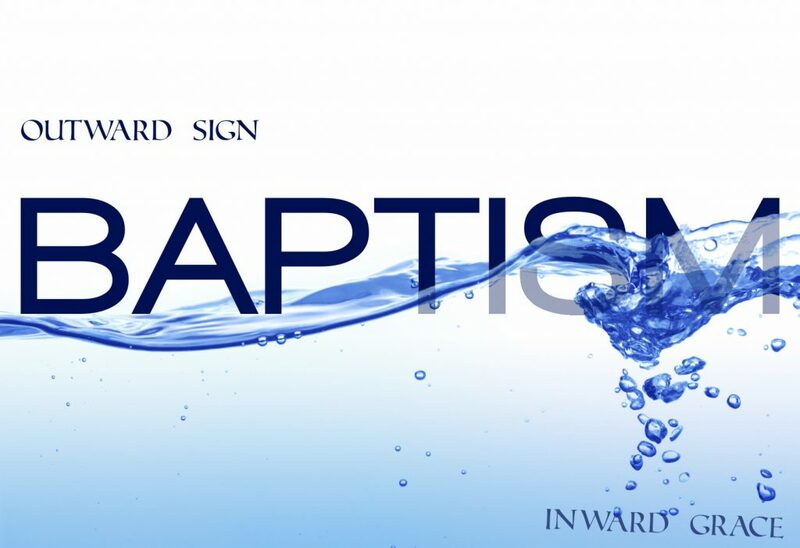 So eagerly anticipate next month’s service and as you go down into the waters of baptism connect with the story of redemption – a redemption that is already yours. If you’ve not registered for baptism and you’d like to be baptised, then please let us know. Speak with Graham or any of the elders. If you have registered, remember on the day to bring a towel and a change of clothes, and on that day of all days we encourage you to invite friends and family to come and see what the Lord has done.